The Flashdance kit includes 10 mini skeins exclusively hand dyed by Mira @ Baah Yarns for Amazing Threads for the Flashdance Shawl & Cowl. 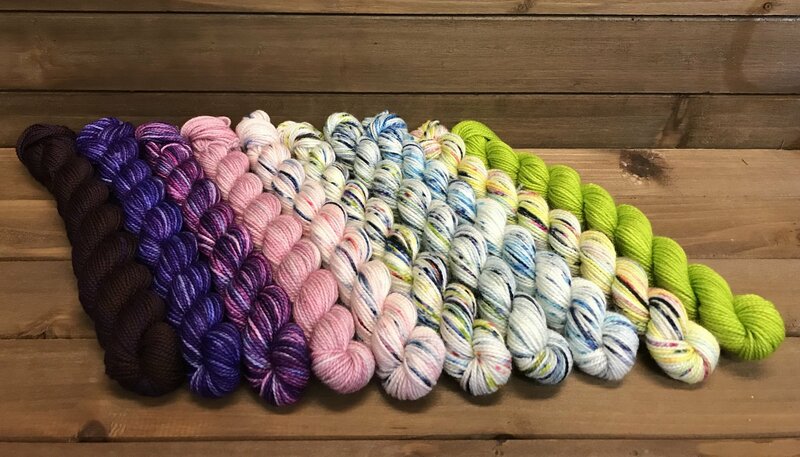 Each kit contains 800 yards of La Jolla 100% superwash Merino. Each kit comes with a pattern to support the yarn.